The town of Berwick-upon-Tweed complements everything that is special about Northumbria and the Scottish Borders. With wide open spaces, superb scenery, a breathtaking coastline and majestic castles there are many reminders to its visitors that this is an area with many historical connections to the past, well named the âCradle of Christianityâ. This is a âland for all seasons' with a vibrant and colorful calendar of events to entertain all year round. As each season passes, the familiar landscapes evolve to create more striking and beautiful scenes, images which will stay in the visitor's memory forever.Arguably England's most dramatic walled town, at the most northerly tip of Northumberland, Berwick-upon-Tweed, as seen on ITV's Tales from Northumberland, crowns the county. 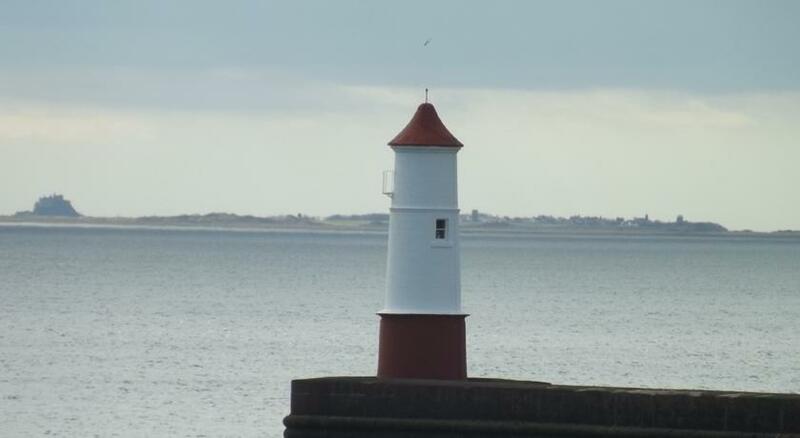 Look around this beautiful town and you'll soon find evidence of Berwick's tempestuous past. A definitive border town, Berwick has perfectly preserved Elizabethan fortifications and the first purpose-built army Barracks in Britain. With bastions, buttresses and even a Russian cannon, the dramatic history of Berwick comes alive as you walk these imposing walls.Captured or sacked 13 times before finally falling into English hands in 1482, Berwick has the remnants of fortification constructed by Edward I, built to discourage invading Scots from entering the town. Berwick's great Elizabethan walls were built to protect the town from the Spanish. It is still possible to walk almost the full length of these walls, taking in spectacular views across the River Tweed estuary and Berwick's famous landmark, The Royal Border Bridge, built by Robert Stevenson and hailed as one of the finest bridges of its kind in the world.Berwick-Upon-Tweed Barracks and Main Guard is an English Heritage listed property and is the ideal place for a family day out.Built in the early 18th century to the design of the distinguished architect Nicholas Hawksmoor, the Barracks was among the first in England to be purpose built. The âBy Beat of Drum' exhibition gives you an insight into the life of the British infantryman from the Civil War to the First World War.The town has an excellent assortment of Museums and Galleries (open Easter to Oct) including the Barracks Museum Complex, The Town Hall with an exciting tour of the old jail cells and courtroom and Contemporary Art exhibitions in the Gymnasium gallery. Year-round attractions include galleries in Dewar's Lane Granary (Wed-Sun) and Berwick Watchtower (Thurs-Sun). Whenever you choose to visit Berwick, there's plenty to satisfy the âCulture-vulture' in you.If it's shopping you want to indulge in, the main town centre is held within the Walls and smaller local shops are dotted around. Don't miss Bridge Street, tucked away at the bottom of West Street and Castlegate, towards the Railway Station, both of which have a high concentration of these businesses.Berwick-Upon-Tweed is also an ideal base for exploring a host of other treasures in the area, such as the major cities of Edinburgh and Newcastle. Much closer the Holy Island of Lindisfarne (watch the Tide! ), Alnwick Castle & Gardens and Bamburgh Castle are all well worth a visit.The friendly and experienced team at The Castle Hotel is always happy to help with advice and recommendations for days out.